Terri Giuliano Long interviews book blogger Ella from A World of Words, in support of Autism Speaks. Terri Giuliano Long interviews book blogger Kim from Wistfulskimmie's Book Reviews, in support of the ASPCA. Terri Giuliano Long interviews book blogger Kerry-Ann from Reading A Little Bit Of Everything, in support of the Red Cross. 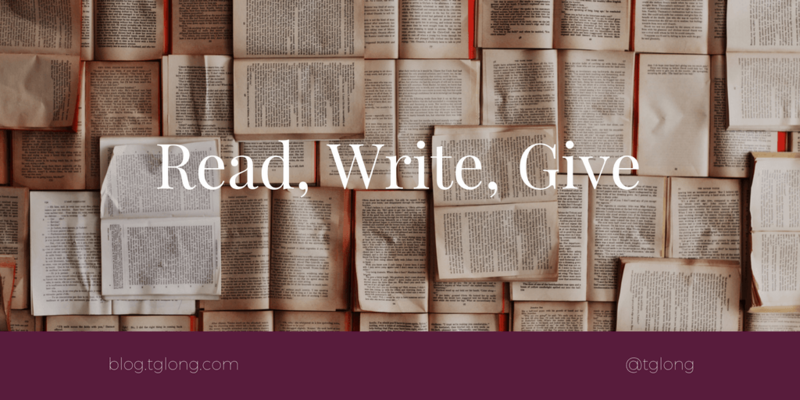 Book blogger Amanda Chambers from Living, Learning, and Loving Life shares details of her upcoming Hurricane Relief Review-A-Thon.